On Sunday 10 December 2017, the former Labor State Government hosted a celebration in Rymill Park inviting the public to walk through the "tunnel" (i.e. the covered trench) that had been under construction for the previous 20 months. APPA boycotted the "celebrations". We were not surprised however, that the former Government would celebrate its obvious disdain for the national-heritage listed Adelaide Park Lands. Disregarding public opposition throughout 2015, and appeals from regional SA that there were much higher priorities for transport, the former Government nevertheless authorised the felling of scores of trees, (including some more than a century old) for a purported marginal improvement in bus timetables. Documents obtained through a Freedom of Information Request reveal that at no stage did the former State Government consider any alternative route or road design to achieve the same purpose of improving public transport outcomes. The O-Bahn covered trench has been independently described (by the Australian Civic Trust) as "extreme incompetence in planning" and "an easily avoidable disaster". The Civic Trust concluded in 2016 that the goal of improved bus scheduling "could have been achieved by alternative means at a fraction of the environmental disturbance, nuisance and cost." $160 million of taxpayer funds has been spent. 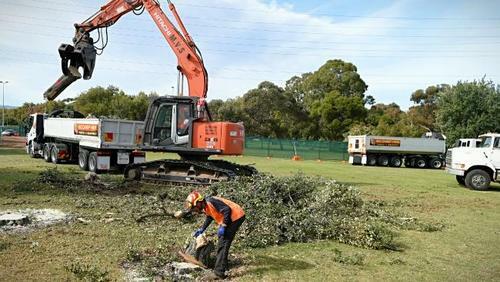 No amount of subsequent landscaping will restore the previously-tranquil surrounds of Rymill Park lake, a jewel in the crown of Adelaide's Park Lands. The former State Government's obsession with bus timetables, to the exclusion of national heritage values, would have been laughable if it hadn't been so tragic. 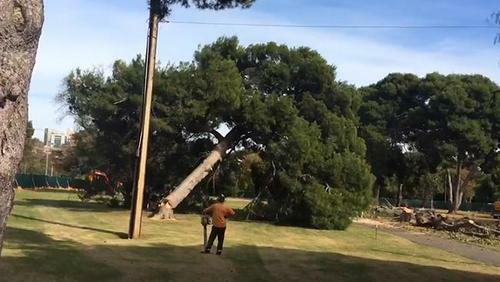 Trees that had lived in peace for over 100 years in Rymill Park were felled in an afternoon, so that the Government could appeal for votes in the marginal electorates of Adelaide's north-eastern suburbs. The final irony was that in the March 2018 State election, Labor's Tom Kenyon lost the seat of Newland and the neighboring seat of Florey was retained by independent MP Frances Bedford. If you think Adelaide can do better than this, then TAKE ACTION!